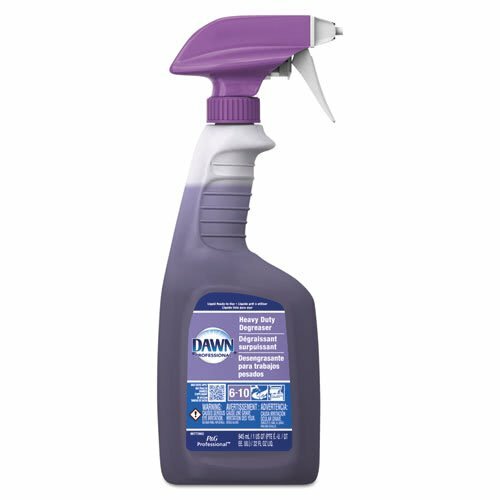 Solvent-based degreaser delivers heavy-duty cleaning performance. Noncorrosive to hands. Effective on surfaces such as range hoods, ovens, walls behind equipment, floors, drive-thru, and fuel islands. Can be used on food contact surfaces. Phosphate-free, non-caustic and nonflammable. Application: Appliances; Counters; Grills; Ovens; Applicable Material: Ceramic; Glass; Metal; Plastic; Stone; Dirt Types: Cooked-On Grease; Dirt; Grime; Oil; Organic Matter; Physical Form: Liquid. Effective on surfaces such as range hoods, ovens, walls behind equipment, floors, drive-thru, and fuel islands.